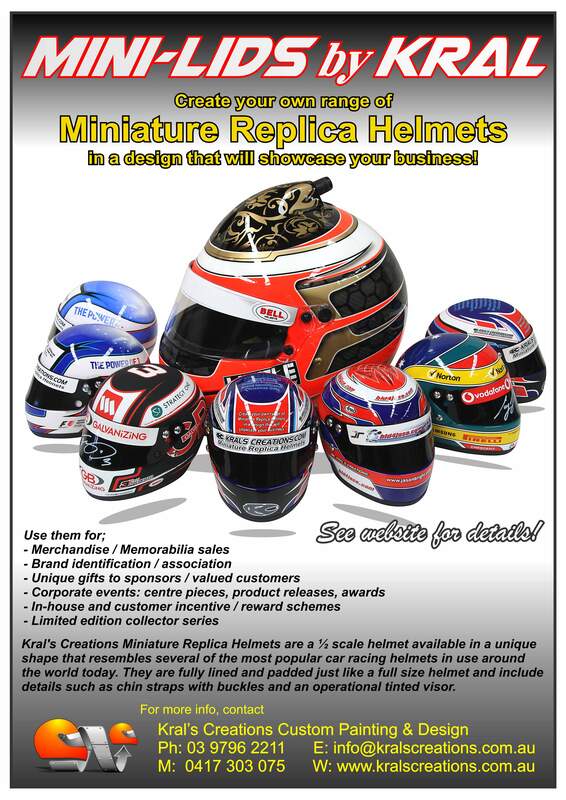 Kral's Creations Miniature Replica Helmets are a 1/2 scale helmet available in a unique shape that resembles several of the most popular car racing helmets in use around the world today. 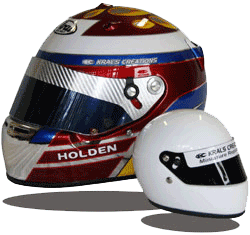 They are fully lined and padded just like a full size helmet and include details such as chin straps with buckles and an operational tinted visor. 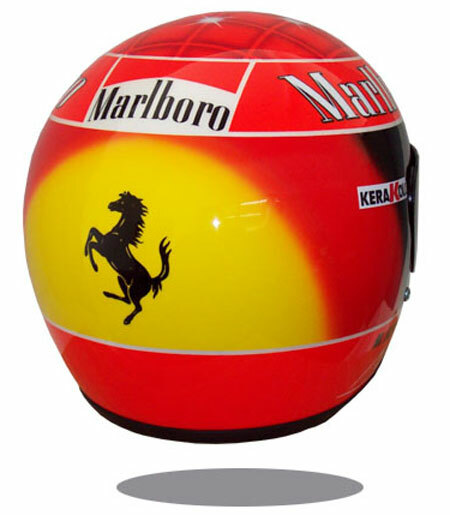 Materials used in their construction mirror those used in the construction of a real racing helmet. 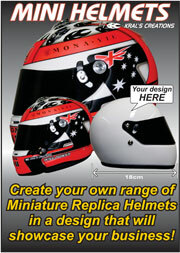 Now you can create your own range of Miniature Replica Helmets in a design that will showcase your business! We also offer an in-house design service allowing for the creation of a design tailored to suit your specific requirements so you can showcase your business identity and other relevant promotional information. For full pricing details, please contact us directly. A minimum order quantity is 250 units painted in the one design. *Limitations may arise with reproducing some types of special custom colours or effects. ^Price per Unit excludes shipping and freight charges. Shipping and freight charges are extra and will depend on country of destination. Shipping may be handled independently by client.